As Murray dominated, his draft stock improved. Jim Callis, a senior writer on MLB.com, said the A's couldn't have foreseen Murray would be a potential first-round NFL draft pick because of his size. Listed at 5-foot-10 and 195 pounds, Murray would be a small quarterback in the NFL by any standard. "I don't think anybody was saying he could be an NFL first-round pick," Callis said. Once the NFL emerged as a potential option for Murray, the A's took action. Representatives of the A's and Major League Baseball met Sunday with Murray, according to a person with direct knowledge of the session who spoke on condition of anonymity because the meeting was not made public. Murray's road to his NFL draft choice was a winding one from his prep days in suburban Dallas. After a disappointing freshman season in football at Texas A&M in 2015, he transferred to Oklahoma. 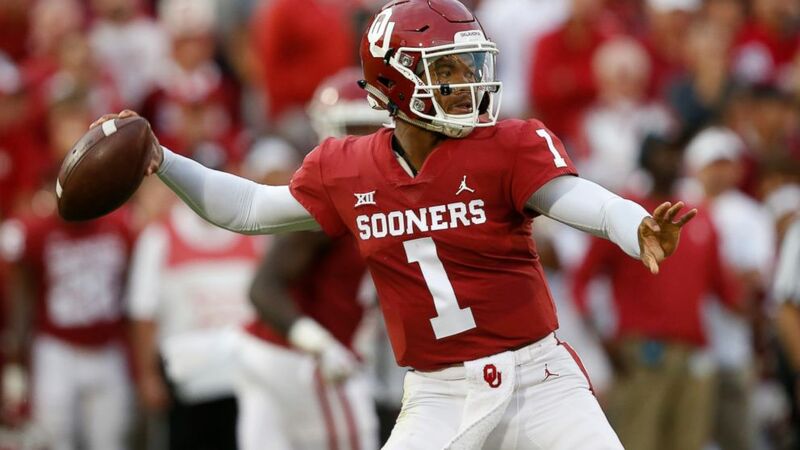 He sat out a year because of transfer rules, and then was the backup during Baker Mayfield's Heisman-winning 2017 season.